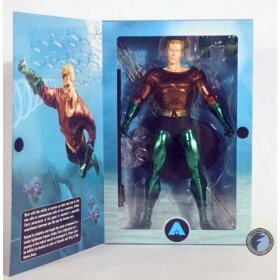 Aquaman will be the exciting new addition to DC Direct's line of super-heroic 1:6 scale figures! Packaged inside a deluxe 4-color window box with a fifth panel. 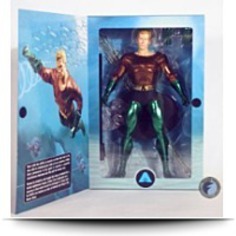 This deluxe collector figure includes trident and display stand.